The Lord Pumpkin is the only one that was issued pre-Black September. The others are all numbered to 2,000. They are really nice looking books and certs. I pick one up whenever I see a copy selling for a few bucks. 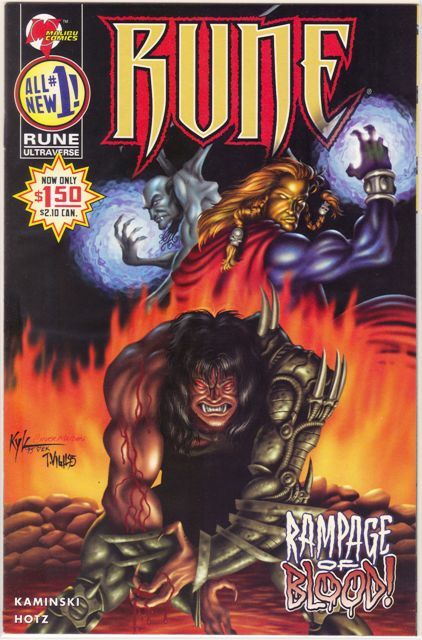 This was originally a Halloween promotion and a way to get the Rune comic into the hands of non-traditional readers. 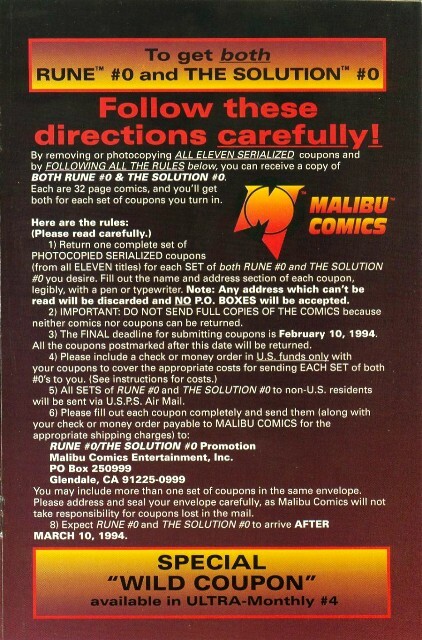 It is not too different from the Rune 0 that was an incentive-based comic you had to send away for (you needed coupons from 11 different comics, although you could also use the “wild” coupons that came with some poly-bagged issues). In case you’re interested, I paid $13 shipped. 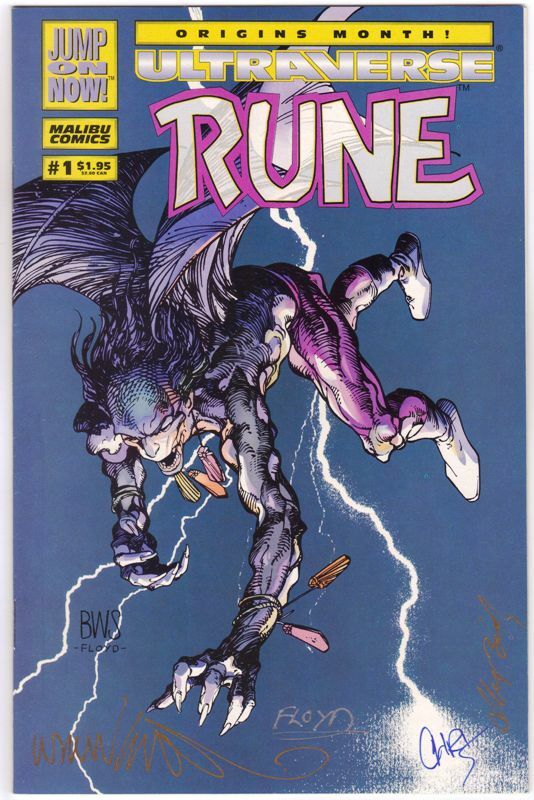 Finding a Rune 1 that has been autographed is not that hard … Barry Windsor-Smyth did 10,000 of them by himself. 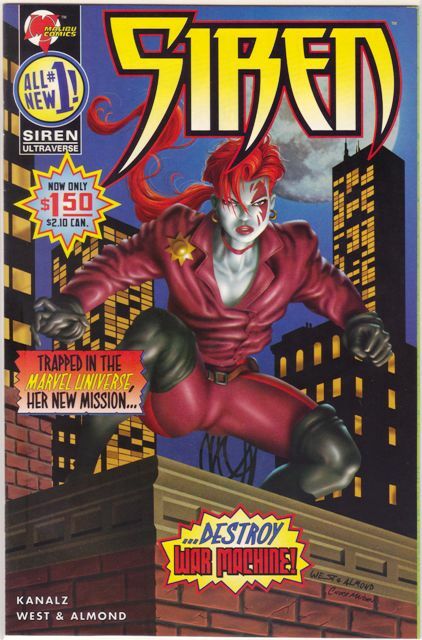 But I don’t think I had ever seen one that also had co-creator Chris Ulm’s signature, along with inkers Alex Bialy and John Floyd. This was an eBay score, just a few bucks counting shipping. It didn’t come with a certificate, but it looks legit to me. I’ve always thought it must piss off the creators when they see books they signed popping up on auction sites, but once I get them in my mitts I give them the proper respect. Somebody has to collect this stuff. 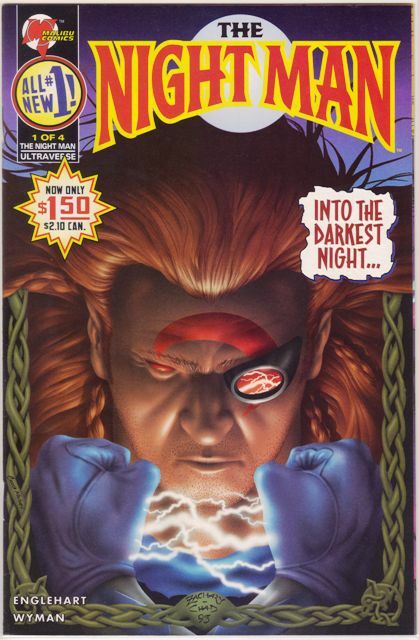 They sure did love their coupons in the Ultraverse. 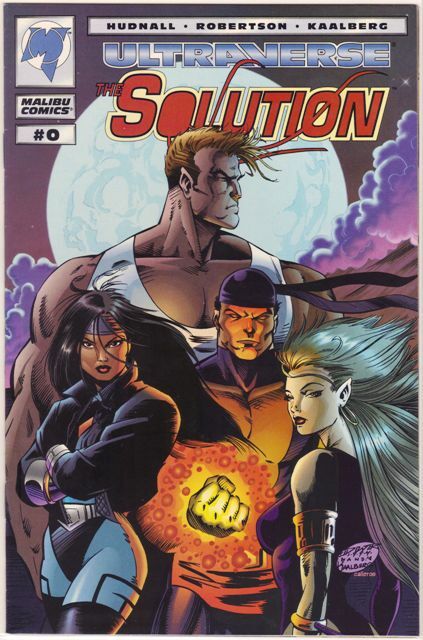 One of the cooler sendaway deals was for Rune 0 (a copy of Solution 0 exclusive to this deal was also thrown in). 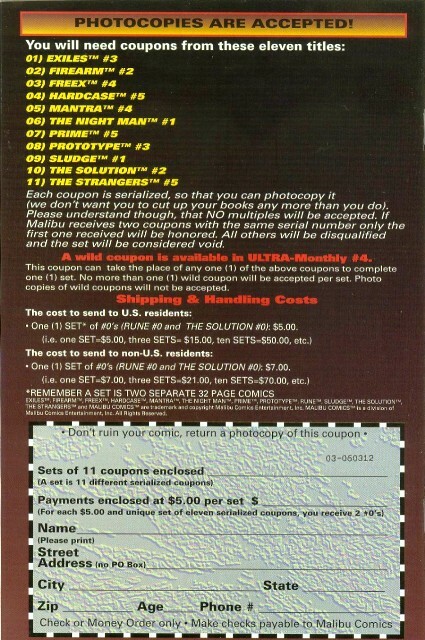 You needed 11 coupons (click on the pages below to read the instructions) although you could photocopy the coupons and there was a “wild coupon” in Ultra Monthly No. 4. I also have a poster that might have come with this. I have to confess I did not send in any coupons; I picked up my copies on eBay a couple of years ago. They’re usually fairly cheap. 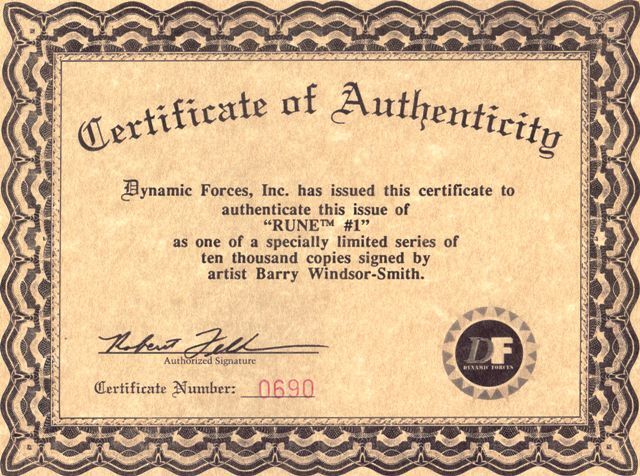 You can check eBay just about any time and there will be 10 or so copies of Rune 0 along with six or seven copies of Solution 0 (I guess Rune was the bigger name). 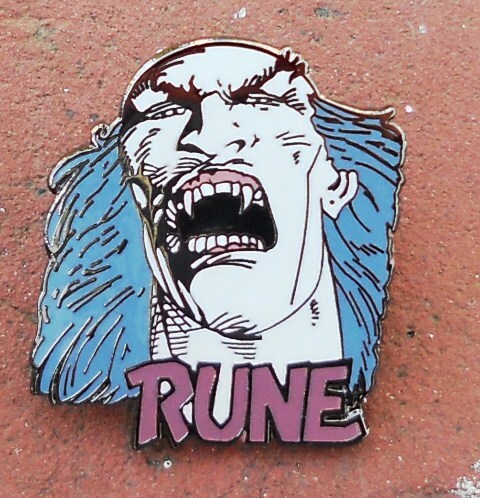 There were a few different pins made with Ultraverse characters. This is the only one I own (I thought I had a Prime pin too but I can’t seem to find it). It’s not as big as the picture makes it seem; it is actually a little bit smaller than a quarter. But it looks nice. Seems like these things used to sell for around $7 back in the day. I picked this one up for a buck. As far as collecting, I don’t put a premium on this sort of thing but I would be interested in identifying what is out there. 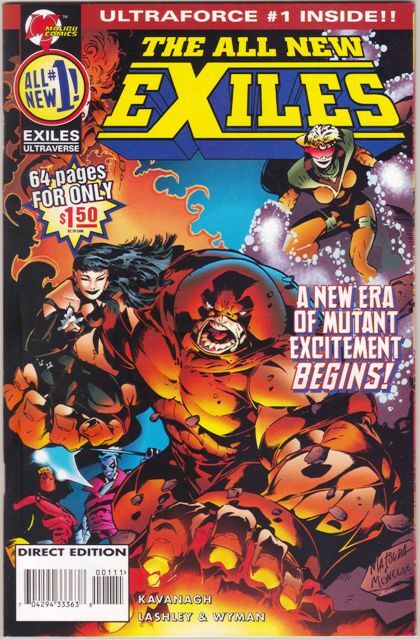 Maybe I can check through a few old Previews to see if stuff like this was solicited. Edit: Tom Mason’s comment moved up to the main post. I think we did just the three character pins – Prime, Mantra and Rune. 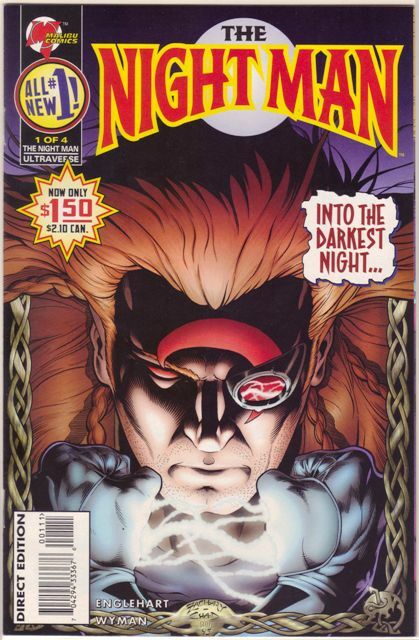 There was a Malibu Comics logo pin, (and a Bravura logo pin) but the Ultraverse logo was too big to fit on a pin. So how long would it take you to sign your name 10,000 times? Even if your name was just a long string of squiggles, I imagine it would still take a good long while. 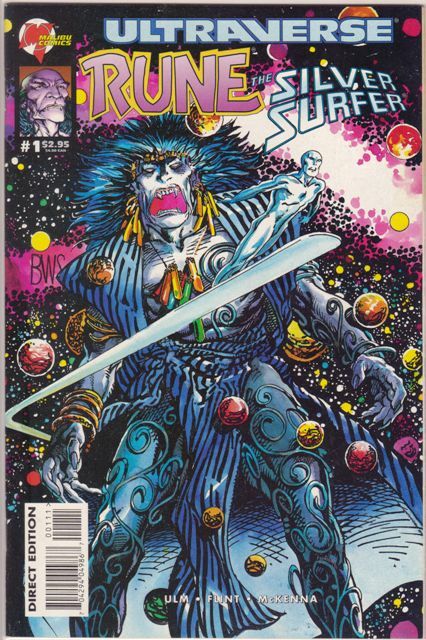 Barry Windsor-Smith could tell you how long it takes, since he did it for Dynamic Forces. 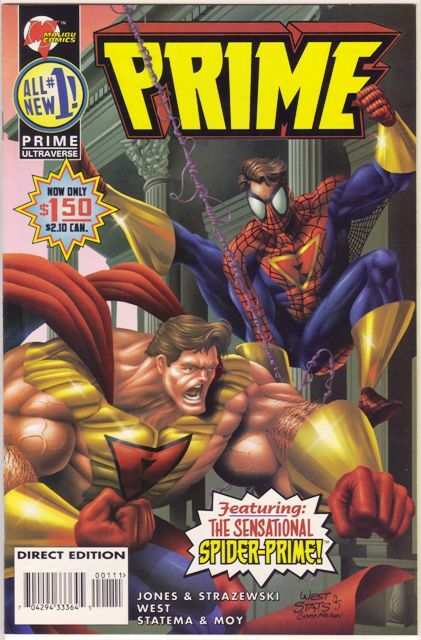 There were a number of signed Ultraverse books that went into the thousands, but this is the king of them all. Not surprisingly it is fairly common on eBay, but it usually sells for a few bucks. For his sake, I hope somebody else had to do the numbering because that looks like it was a bigger pain than the signatures. I asked BWS to sign a couple of books and cards at a con a few years back. He signed the books with the squiggle, but he initialed the cards “BWS.” Squiggles aside, the man has very nice handwriting. 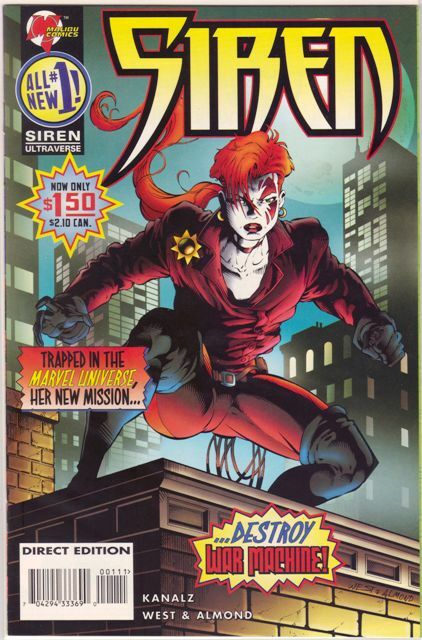 The seven titles that were relaunched after Black September each got a variant cover for the No. 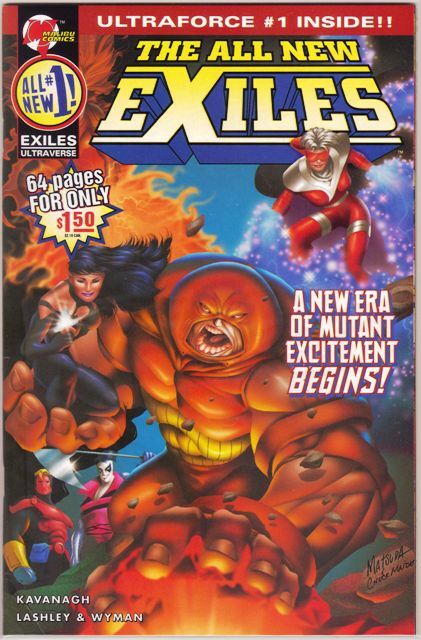 1 issues (there were also painted variant covers for the Infinity issues and additional covers for the All New Exiles). I don’t have the overall numbers, but the painted variants made up 20 percent of the print run. I don’t think the painted covers necessarily look better; they just look different. 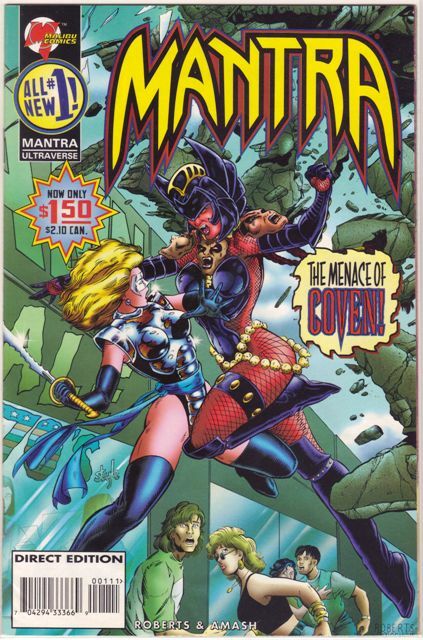 It was also apparent that the Ultraverse was heading in an entirely new direction. 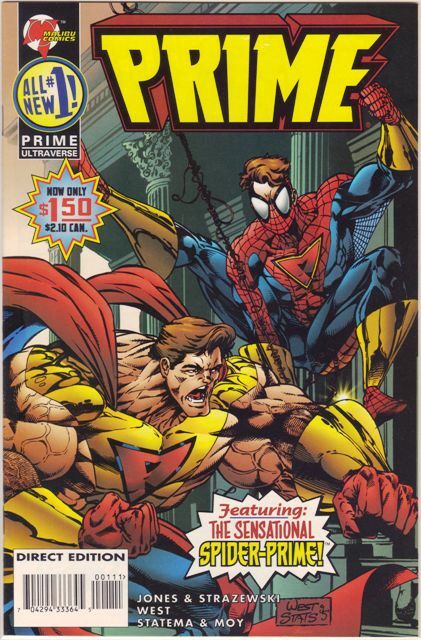 There is a whole lot of Marvel on those covers, including the Spidey-Prime with his hair hanging out. Prime is the only one with a UPC code on the painted version. These aren’t too hard to find on eBay. The easy way to tell them apart is that the regular issues have a UPC code on the front and the painted ones don’t (apart from Prime … just be careful with that one). They’re pretty common in larger lots. 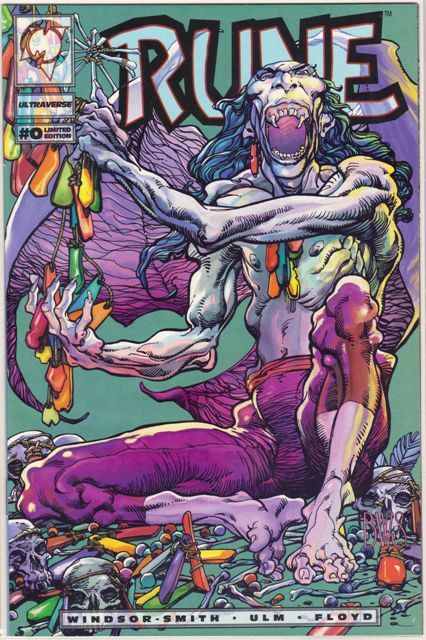 There are also signed-and-numbered versions of many of these with Ultraverse COAs. 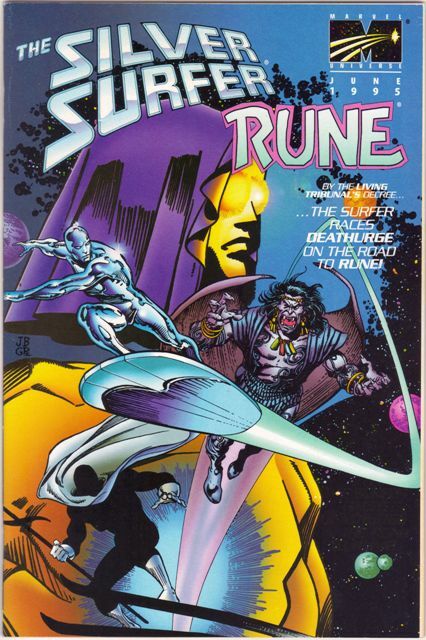 Rune and Silver Surfer got the flip-book treatment for a one-shot deal. 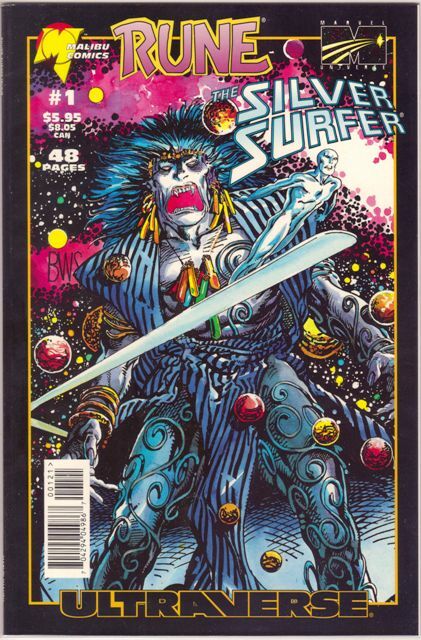 The story starts with the Rune side to about the middle of the book and then you flip it over and start reading the Silver Surfer side. There are two other versions of the book, and although the book is bound differently the interiors seem to be the same. Each has the same Silver Surfer flip-cover. These are fairly common on eBay. I picked up all three as part of a large lot of Rune books (he was featured in a number of different Ultraverse titles) for $15. 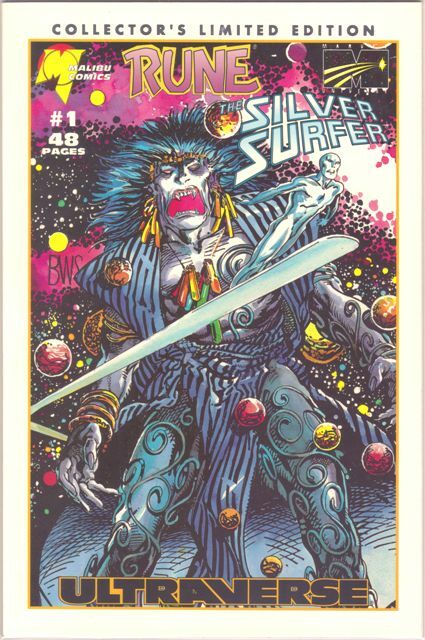 I wouldn’t pay $15 for just the Silver Surfer books, though … $5, maybe. The scan doesn’t do justice to the white Collector’s Limited Edition. 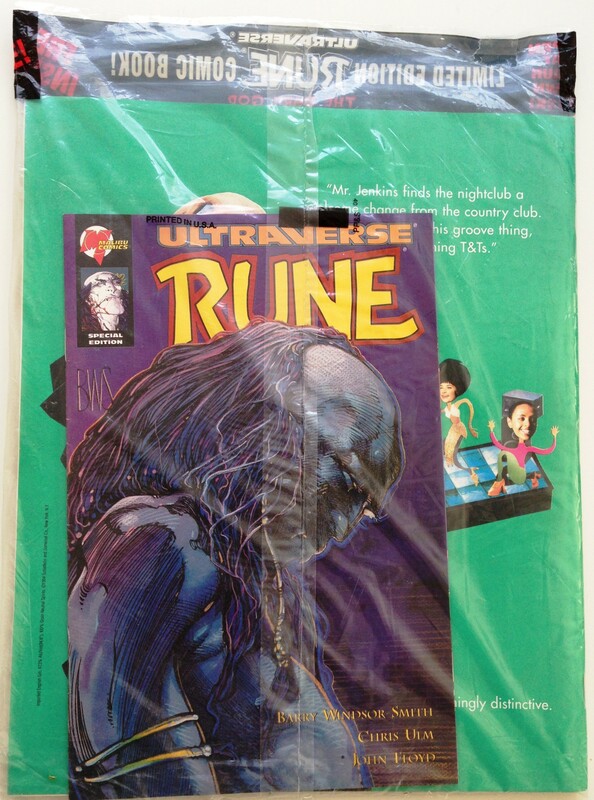 It is one of the nicest-looking of all the Ultraverse books … pristine white, shiny cardstock cover with perfect squared-off corners. 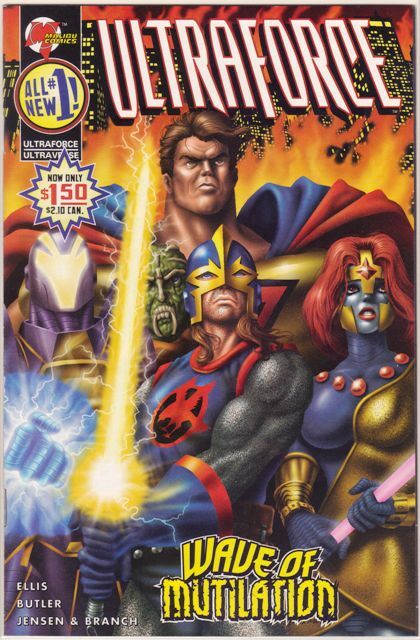 These were some of my favorite books that the Ultraverse put out, especially the early ones that were drawn by Windsor-Smith. 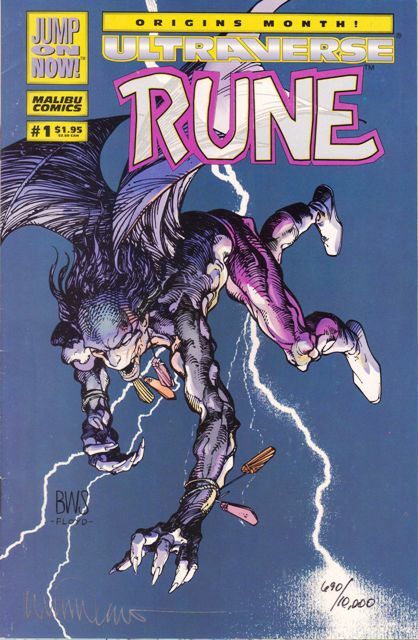 After Marvel bought up the rights there were a couple of crossovers involving Rune. Conan seemed like a natural fit. 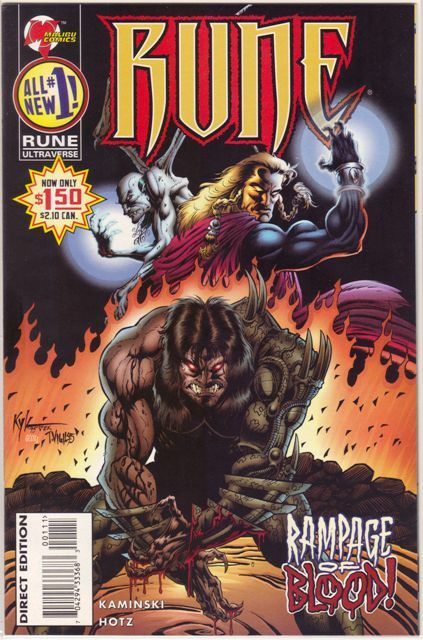 There was one book where they shared the title (Conan vs. Rune), and Rune appeared in issue No. 4 of the monthly Conan book (along with a small flashback appearance in No. 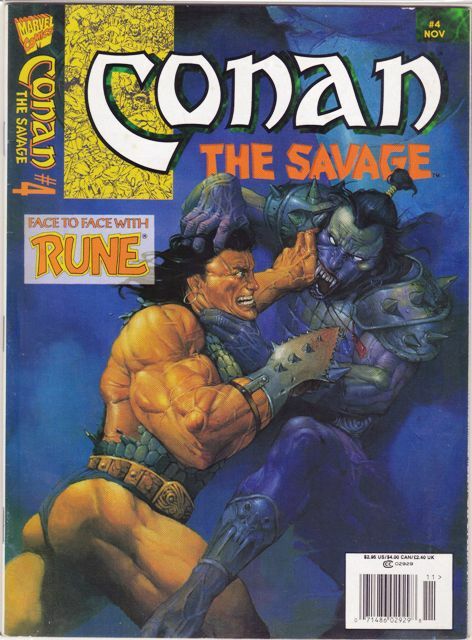 5) and Conan The Savage magazine. These are a little tougher to find since they are pretty far off the beaten track. If you can’t find them in a cheap lot they are readily available at places like Mile High or mycomicshop.com, but they’re going to charge you a few bucks. It’s better to be patient on eBay. 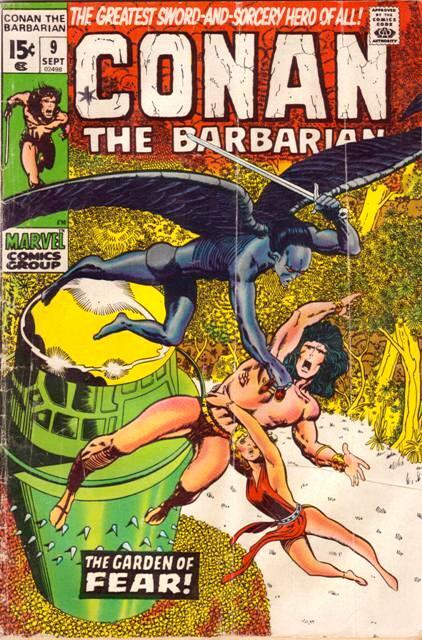 The Conan The Savage magazine is pretty cool. It’s black and white inside which looks perfect for the content. 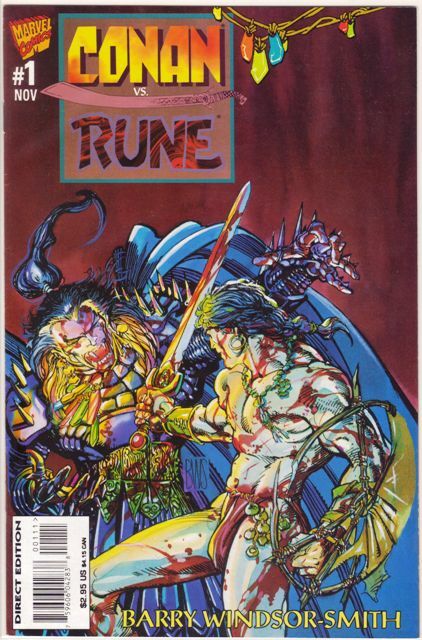 I wish they had done more books like this for Rune (there are a bazillion Conan black-and-white magazines). Storing it is kind of a pain since I don’t have any magazine boxes. I just keep it flat in a closet with a few other magazines. 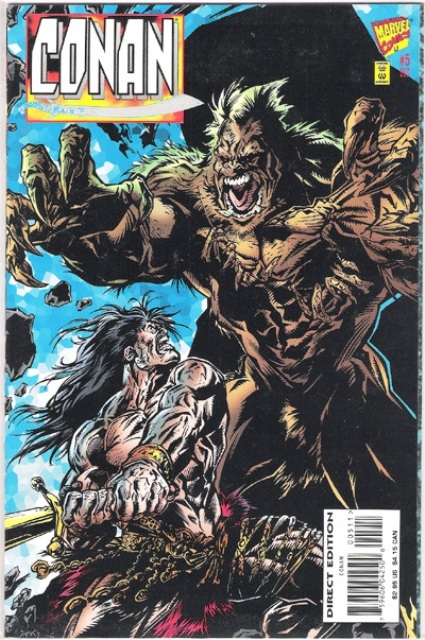 One of the cool things about the original Conan series, the one that started in the late 1960s and made BWS famous, is the ninth issue. 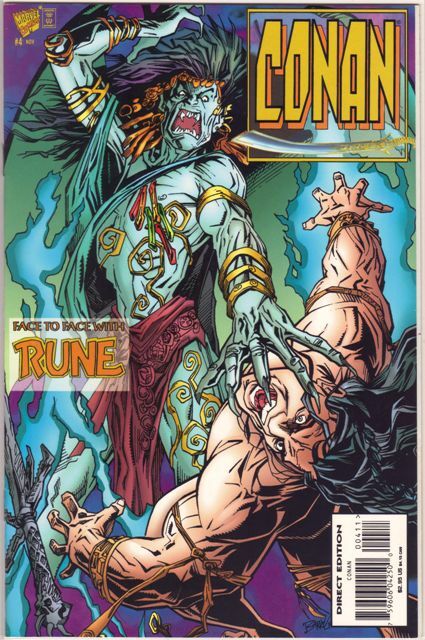 There on the cover is a flying bluish guy that looks kind of like Rune. It isn’t, of course, but maybe the idea stuck in his head as a prototype for later use. 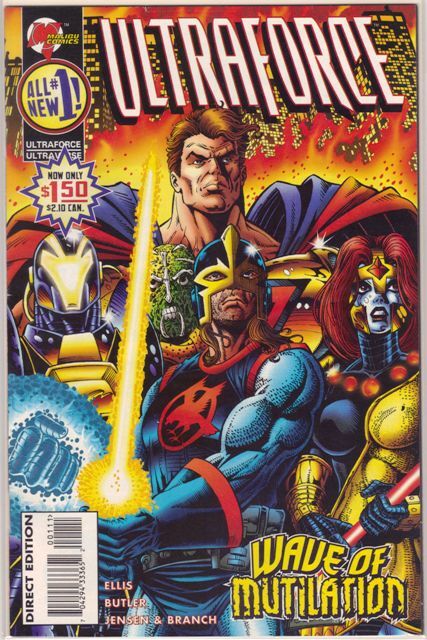 In any case it doesn’t belong on an Ultraverse checklist but I’ve had my eye out for a cheap copy for a while now. In nice condition those early Conans can be pretty expensive.